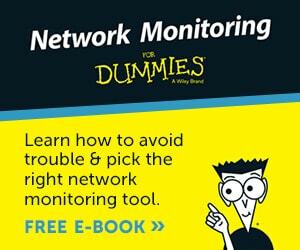 What is Network Throughput and How to Measure & Monitor it! 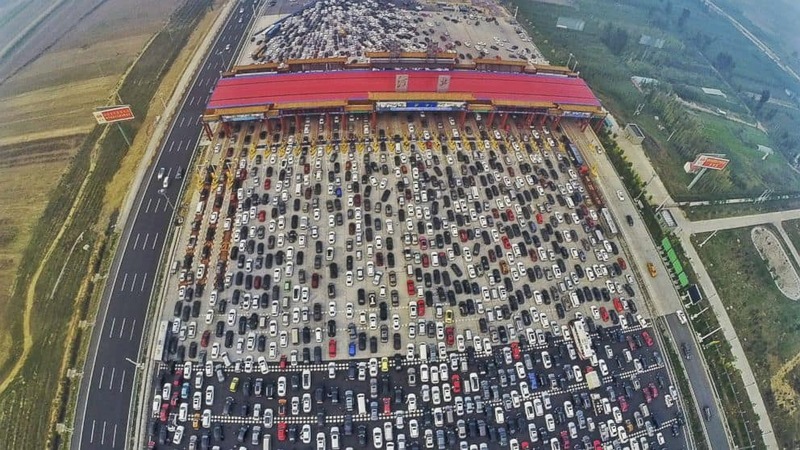 On October 6, 2015, close to Beijing, China, thousands of cars were stuck in one of the biggest traffic jams in history. It happened near a toll station in a 50-lane highway. Thousands of drivers trapped for hours in an endless hair-pulling journey back home. Fifty lanes merged into twenty lanes after a newly constructed toll, and it was also the end of an important National Holiday in China. So why does this story relates to throughput? Imagine that the highway is a network connection and each car is a bit of data. The highway’s bandwidth was at its full capacity (before the toll and the holiday) and was able to handle millions of cars per hour. In optimal conditions, cars would use all lanes and move at average speed. But in real life highways are busy. There are tolls, rush hour, roads under maintenance, accidents, and many more factors that affect how a car moves from point A to point B.
China’s highway probably had the best bandwidth in the world but the poorest throughput at that time. Concerning all these factors, the highway’s throughput was 1000 cars per hour. Throughput is the actual capacity of a system to send data to another, counting additional factors. In other words, it is the exact amount of data passing through the media from point A to point B in a determined amount of time. Although the concept of throughput is similar to bandwidth, they are not the same. 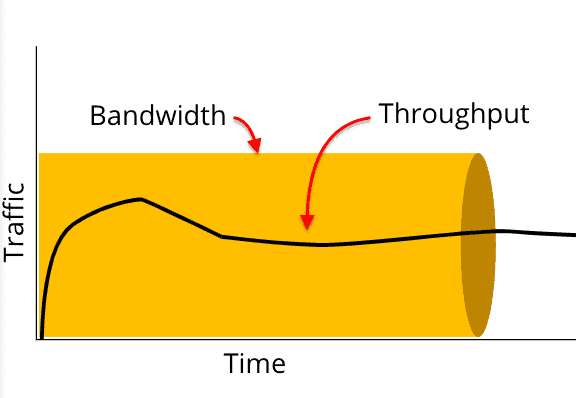 How is Bandwidth different than Throughput? Bandwidth is the total capacity of a system to send data to another over a single media. It is like the size of the pipe or the highway, two lanes, three lanes, 50 lanes, etc. The concept relates to perfect and theoretical conditions. Bit errors on the interface. When adding up all these factors, the bandwidth turns into a throughput. In common practices, the actual throughput should be at least 50% (or more) of the total bandwidth. Throughput is often confused with bandwidth and in worst cases with Internet Speed. When you buy an Internet connection at a certain speed, you are theoretically getting a specific bandwidth connection. But in real life, you’ll be affected by other factors and will end up getting the throughput. Internet Speed is a general term, that refers to the amount of data transferred per second through a specific connection. A good example is AT&T’s Internet Fiber connection offers. To get the 1000Mbps speed, the ISP will likely install powerful network devices, optical cabling, and open up a wider bandwidth connection. The concept of “Internet Connection Speed” is often used by marketers or sales representatives and is used by default to mean throughput, which is the actual rate of packet delivery over a specific medium. In the following Speed Test performed in speedtest.net, the total connection speed (100Mbps) provided by AT&T reduced to about 80%, which is not bad. According to Speedtest from Ookla, the result of this test is an accurate measurement of HTTP throughput between the web server and the client. But a speed test results such as this one will vary when you do the same test on different devices, at different times, and over various media. Not only the ISP will be a bottleneck, but also your infrastructure. 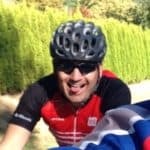 It is critical to measure network throughput with precision to guarantee that the SLA (Service-Level-Agreement) between provider or client is being met and also to make the network ready for any regulatory compliance. Network administrators and Engineers use throughput as a metric to indicate the performance and health of a network connection. Instead of thinking in terms of bandwidth, they use throughput to see the real amount of bits or packet delivered from a network device to another. 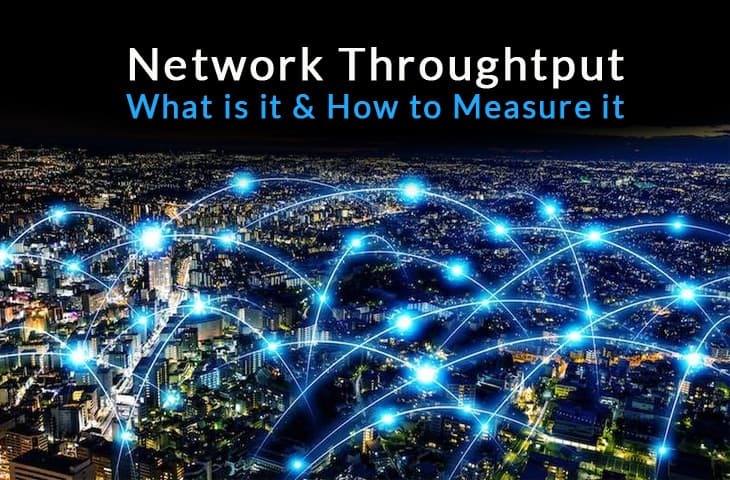 Let’s take a look at a couple of tools used by professionals that can measure network throughput effectively. 1. 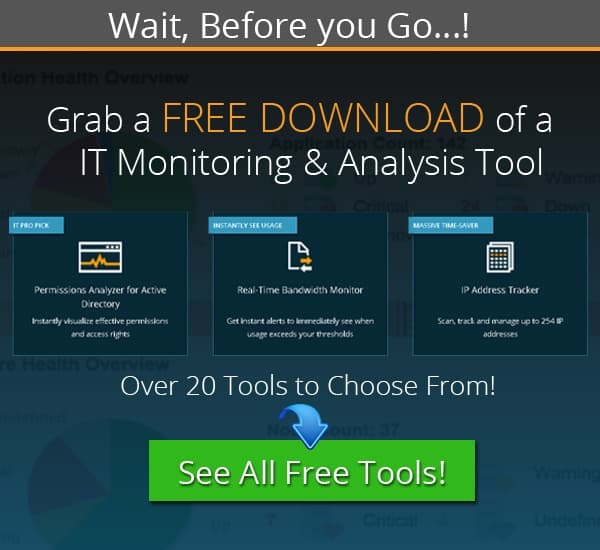 Network Bandwidth Analyzer Pack from SolarWinds. This tool is not only capable of measuring throughput, but it can also find the root causes of a slow network. It accomplishes this, by identifying network faults, monitoring availability, and tracking the performance of devices across the flow of data. 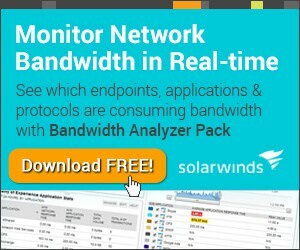 The SolarWinds Bandwidth Analyzer Pack allows you to find, diagnose and solve network, bandwidth, and traffic performance issues that might be causing your low throughput. 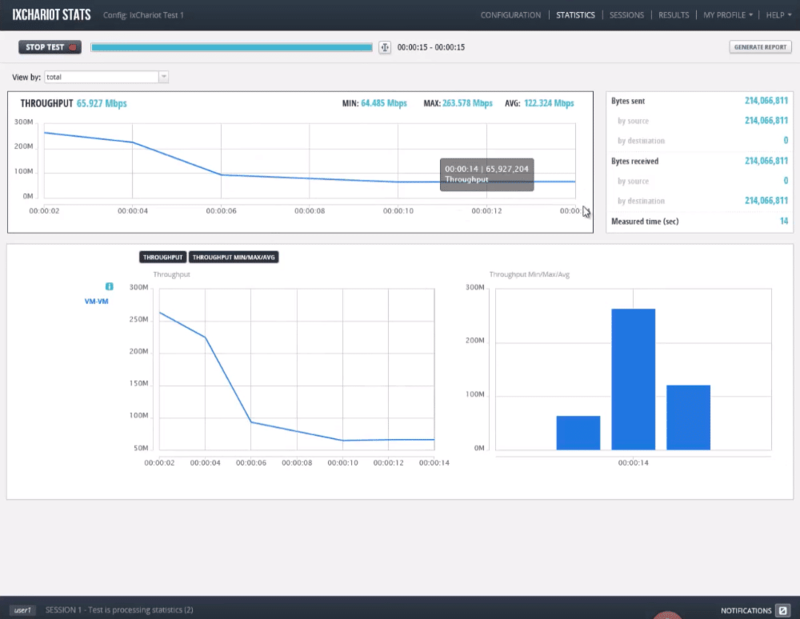 When the network is too slow, you can use this tool as a throughput monitor (with the help of NetFlow, sFlow, and other protocols) to find users or applications that are consuming your precious bandwidth. System Requirements: Only compatible with Windows Server 2008 R2 SP1, Windows Server 2012, and 2012 R2 Windows Server 2016. 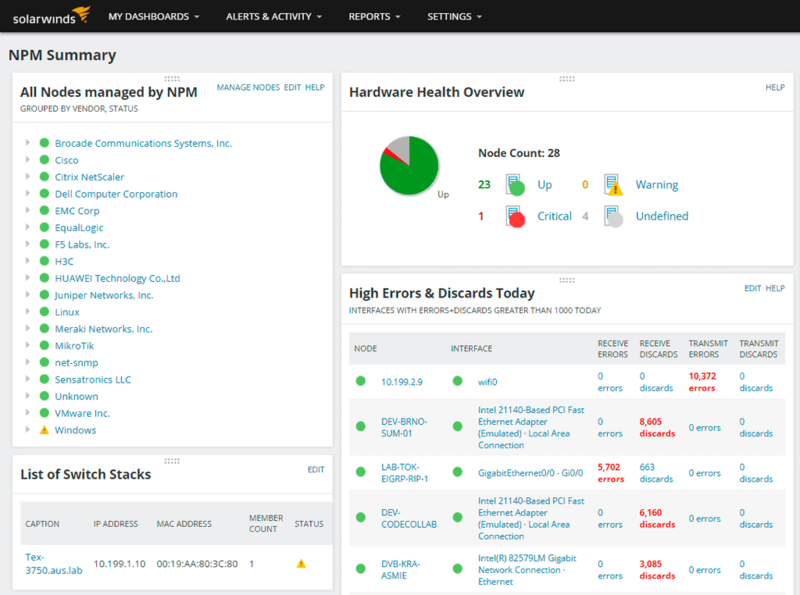 Price: As mentioned before, this is an add-on of either the SolarWinds NPM or the NTA. You need to request a price quote to get the total cost. 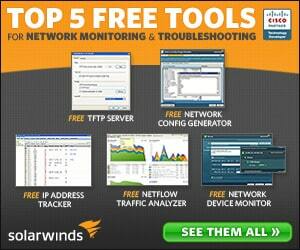 Download a free fully functional trial of the SolarWinds Bandwidth Analyzer Pack for 30 days. IxChariot is a product developed by Ixia, which is a side business of the Keysight Technologies group. IxChariot is a comprehensive performance monitoring and analysis software. It is aimed at enterprise-size networks and can scale up to 10,000 connections that represent hundreds of thousands of end-users. The software is one of the best for monitoring Wireless LAN and VoIP traffic. It gives rich details and graphics. This product does not only keeps track of your throughput but also of other key performance metrics such as packet loss, jitter, delay, MOS, and OTT video analytics. IxChariot uses throughput as one of the primary data points for testing and gathering information. For example in WiFi monitoring, the wireless standard 802.11 and the distance to the Base Station “BS” will influence throughput and response time. If throughput changes over time, IxChariot can monitor signal strength. Peak TCP Throughput: The maximum network throughput of the network. Peak UDP Throughput: It is an indicator of basic network performance. You can run the performance endpoints on a variety of environments all from a central platform, such as PCs, mobiles, VMs, to cloud deployments. System Requirements: Windows XP, 2000, ME, NT4 (SP3 and above) Minimum hardware: Pentium 300, 64 MB Memory, 23 MB Disk Space. Price: Obtain the total cost by requesting a formal quote. Get a Free Online Demo by registering on the ixChariot website. LANSpeed Test is a speed evaluation software developed by TotuSoft. It is a simple tool capable of measuring file transfers, drives, and LAN speeds, either on wired or wireless networks. The tool is easy to use and highly portable. No installation is required. 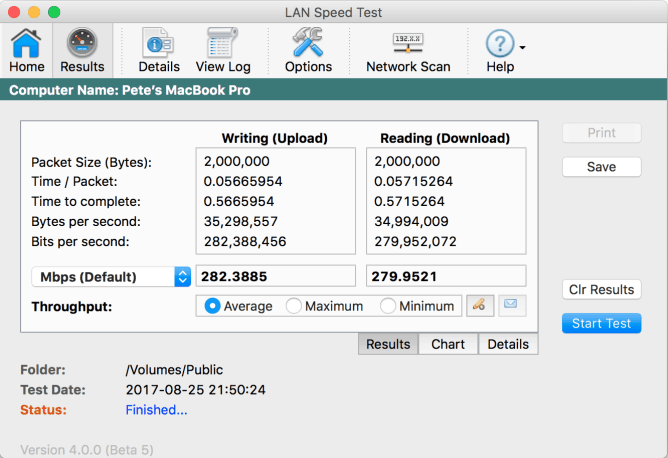 LAN Speed Test is capable of evaluating the speeds of LANs by testing shared folder transfer. It can also check the speed of USB drives and hard drives. You can transfer up to 1000 packets and files of 9 GB in size, and the tool will still perform all calculations smoothly. When testing the speed, the tool is capable of showing the results on average, maximum, and minimum throughput. To start testing network speed with this tool, choose a folder or file and begin to transfer it. Lan Speed Test will create a file in the memory, move it without caching, keep track of time, and perform all necessary speed calculations. This tool is compatible with LST Server (LAN Speed Test Server) for network performance results, and despite the name, it is also capable of testing WAN Internet speeds. System Requirements: It is only compatible with Windows 7 and Windows Server 2008 or later. And also with Mac 10.7.5 (Lion) or later. Price: The cost for the Full License (Single) is $10.00 per user. For the “5 pack” license ($45.00), for the “10 Pack” license ($85.00), and the unlimited license ($150.00). Download free LAN Speed Test Server with limited features and start testing your throughput today. Iperf3 is a free an open source command line tool for measuring network throughput in real time. It is based on the Iperf series software that performs active measurements to find the maximum attainable bandwidth. The Iperf3 can test the maximum bandwidth and throughput in IPv4 or IPv6 networks. As we learned before, to improve overall network performance, we need to enhance throughput and reduce latency. Iperf3 allows you to perform tests and to produce statistics so that you can tune up the TCP or UDP connections in a particular flow. System Requirements: It is cross-platform. IPerf is compatible with Windows, Linux, Android, MacOS X, FreeBSD, OpenBSD, NetBSD, VxWorks, Solaris, etc. Price: Free and Open Source. Download: Get iperf3 for free by downloading it from its official site. The tool shows the results both in numeric form and in graphics. It supports both IPv4 and IPv6. Modify port, either UDP or TCP. Evaluate performance based on QoS traffic type. TamoSoft uses a client/server application approach to measure the connection. The Server listens for connections, the client and server exchange information, and the client calculates and sends the final metrics. System Requirements: It is supported by Windows, MacOS, Android, and iOS. Price: The TamoSoft Throughput Test is a freeware. Download Throughput test from TamoSoft official site. NetStress is a free throughput testing tool for UDP and TCP connections, developed by Nuts about Nets. It specializes in measuring throughput for 802.11(Wi-Fi) networks but can work on wired networks. Although NetStress is a Client/Server-based tool, you can also use it as a single instance. 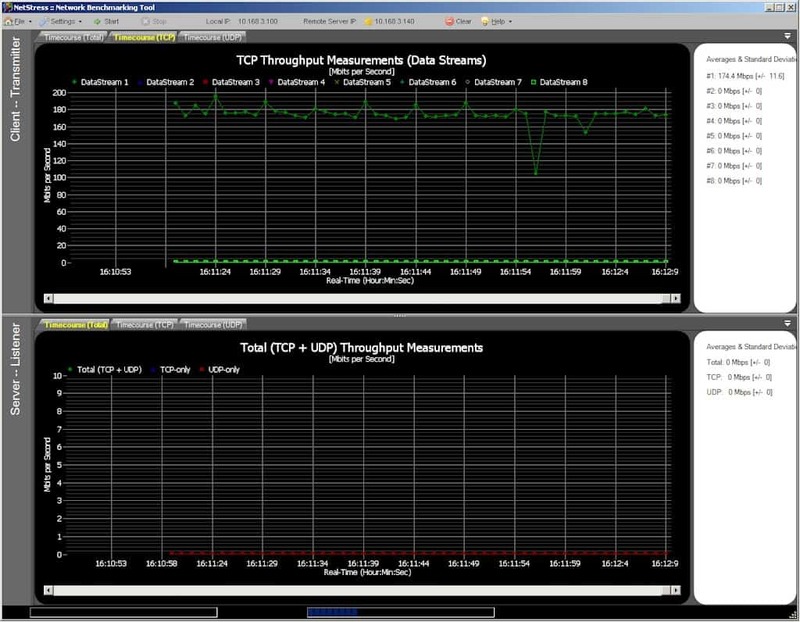 NetStress can produce real-time graphics of your network’s throughput. Although you can run TCP or UDP streams simultaneously, you can only do upstream or downstream tests separate. NetStress just run tests on IPv4 networks. NetStress uses a performance benchmark to test the network and track changes. This benchmark is defined when the network is running smooth. Later it is used as a reference to compare when the network’s performance is declining. It can be installed as a single instance. (Server or Server/Client). It supports up to eight TCP and UDP data streams. Set data flow direction, display units, and MTU. It displays results in KBps, Kbps, MBps, or Mbps. It shows the packet transmission rate. System Requirements: Only compatible with Windows. Download: Get NetStress from its official website. Now that you understand throughput, you know that the time it takes for bits going from point A to point B will depend on many factors. Just like the cars running in a five-lane highway towards a destination, they will have delays, tolls, accidents, etc. The width of the highway (bandwidth) can provide a total rate but does not give you the actual rate. When referring to communications, network throughput is the actual rate of messages successfully delivered over a single channel. The problem is that throughput is often confused with bandwidth and even worst with Internet Speed. When you buy an Internet connection at a certain speed, you are theoretically paying for a specific bandwidth connection. But in real life, you’ll be affected by other factors and will ultimately get a throughput. But no problem, you can still optimize it. The idea of throughput optimization is to bring it up as close as possible to the total bandwidth. A high ratio of successful message delivery will cause a high throughput which will ultimately improve performance and the network’s capacity. Some of the tools listed above will help you measure and create benchmarks. Some others will go beyond and even help you optimize it. Measuring as soon as possible is the best way to create a reference point, and use it for comparison later.